We all remember the impact of the first Sonicflood record and the follow up live album, SONICPRAISE. Now Gotee Records has combined both albums on this two-disc set, adding a handful of previously unreleased songs from the original SONICFLOOD and including a live version of 'Agnes Dei' plus a studio recording of the song, 'These Hands'. 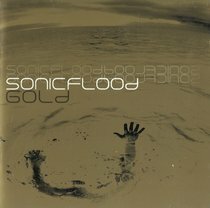 :Gold is the momentous re-release of Sonicflood's first two powerful albums. In addition to a handful of unreleased songs, Gold offers the entire Sonicflood and SonicPraise Live albums, remastered for optimal enjoyment. Includes 'Invocation', 'Carried Away', 'Holy One', 'I Could Sing of Your Love Forever', and many more.